1,100 L.F. of 18" x 18" x 1/4" Paving Forms now available 1/14/19 for purchase. Forms are in EXCELLENT condition. 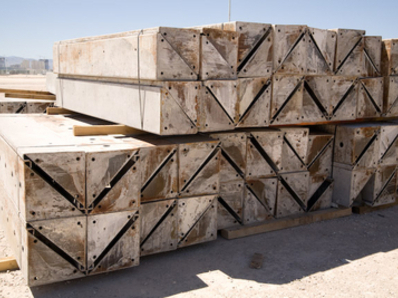 Please reach our Sales Department to discuss steel concrete paving forms further.